Remember when Nickeloden tricked all the little boys and girls into begging our parents to buy Gak? If you don’t know what Gak is, then sit down, young one, and listen to our tale. It was a horrible, horrible product that smelled gross and probably tasted grosser (inedible but nontoxic so whatever). Now, you don’t need to waste your parents’ money on slime. You can waste your own! Get this pack of 60 packs of customizable gooey stuff. 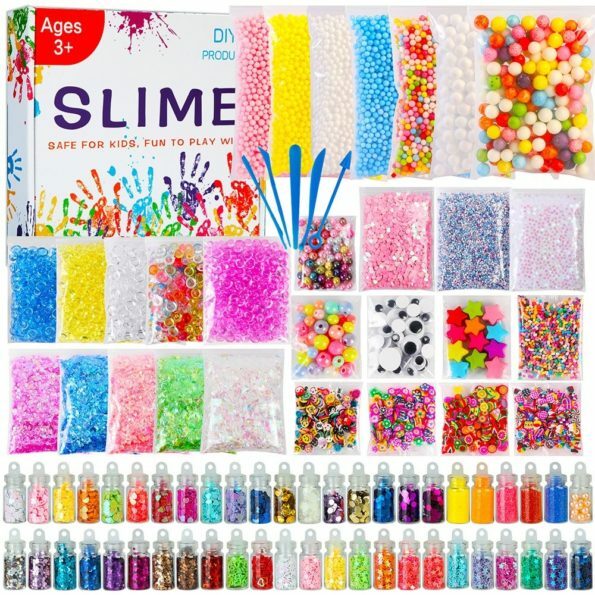 Add glitter, dots, stars, and little balls to make the slime look even more delicio… er… fun to play with.